All you need is a little imagination, and a lot of spirit. Gardening is a wonderful way to reduce stress and anxiety, and it’s a proven method of treatment for those suffering from depression as well. Whether you have a huge backyard, or a tiny space on the patio of your apartment, these whimsical additions to your outdoor space make the perfect family project. 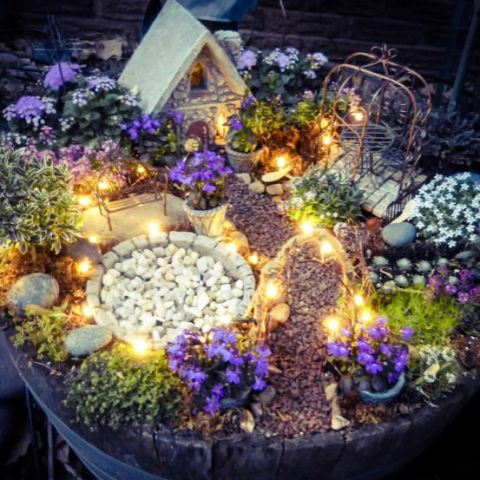 If you don’t have a lot of room to spare in your backyard, transform a wash tub into a fairy’s haven. 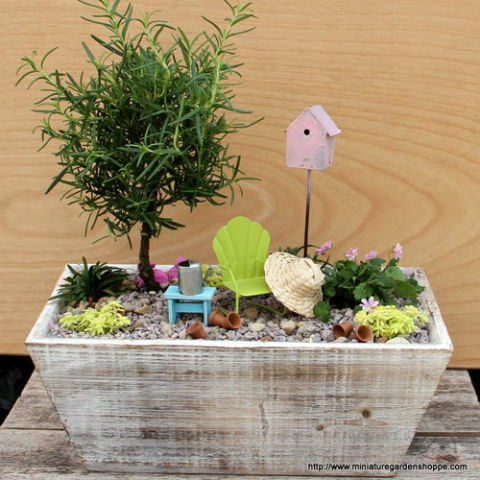 Using mini trees, tiny succulent plants, a porcelain mushroom and more, this blogger created a petite retreat that her daughter could tend to. Get the tutorial at Aidie’s Hideaway. When this blogger noticed one of her planter boxes wasn’t getting enough sunlight, she transformed it into this beauty. Get the tutorial at Crafts by Amanda. 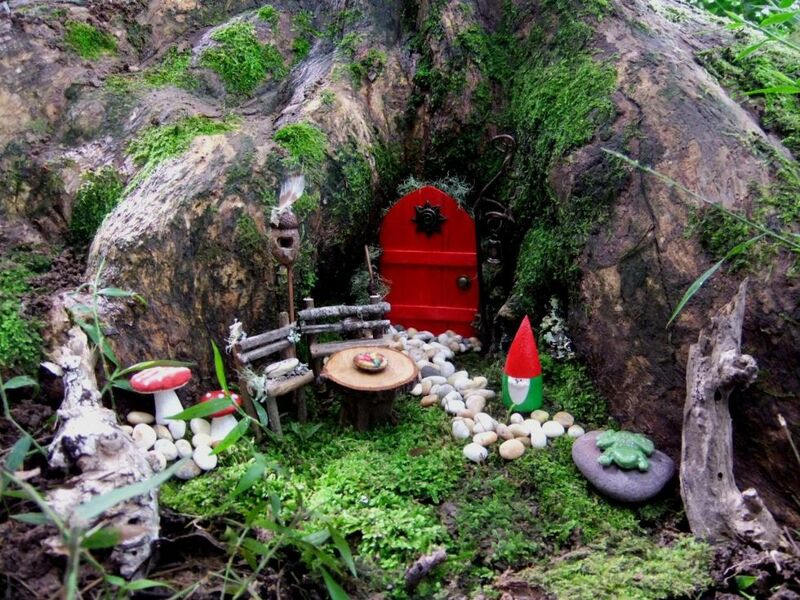 If you have a big enough tree in your backyard, the roots can easily become a magical getaway for fairies. Get the tutorial at This, That, and Everything In Between. 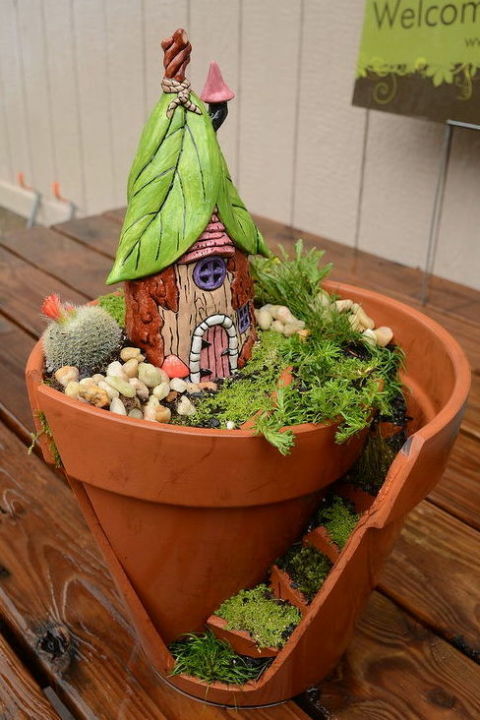 For a quick garden that doesn’t take up much room, add a whimsical fairy door to a terra cotta pot on your back porch. Get the tutorial at Crafts Unleashed. 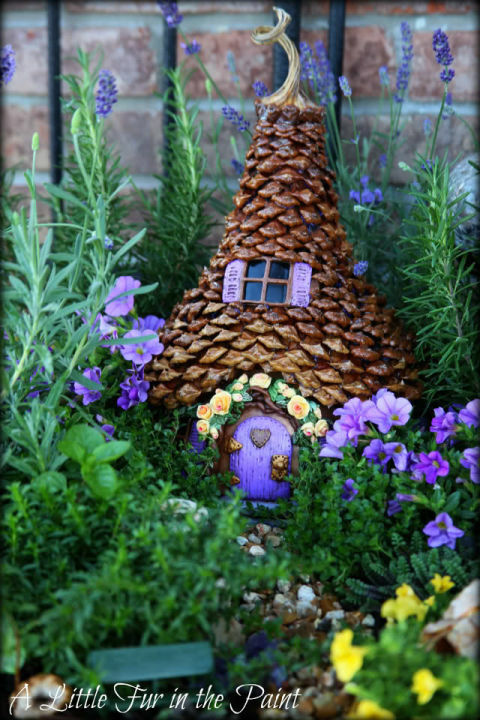 For an extra creative spin on the fairy house, use dried birdhouse gourds and pine cones. Get the tutorial at A Little Fur in the Paint. This stunning garden, housed in a galvanized tub, cost only $38 to make. Get the tutorial atMommy Moment. Popsicle sticks take on a new life in this petite paradise. Get the tutorial at The Magic Onions. Broke a flower pot? 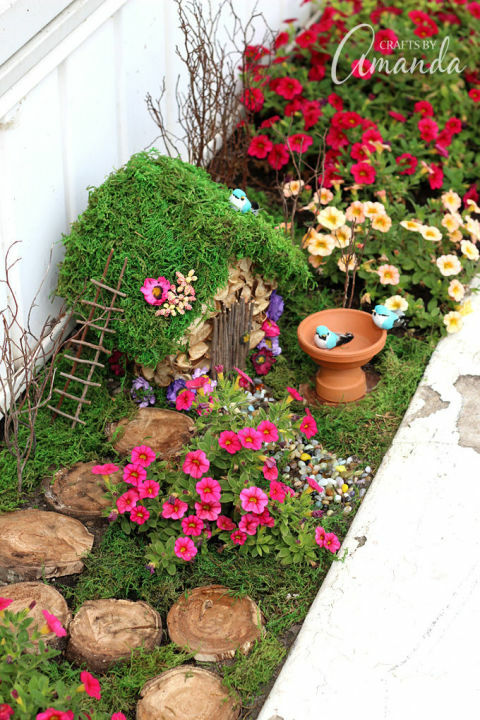 It’s the perfect fairy garden in the making. Get the tutorial at HomeTalk. 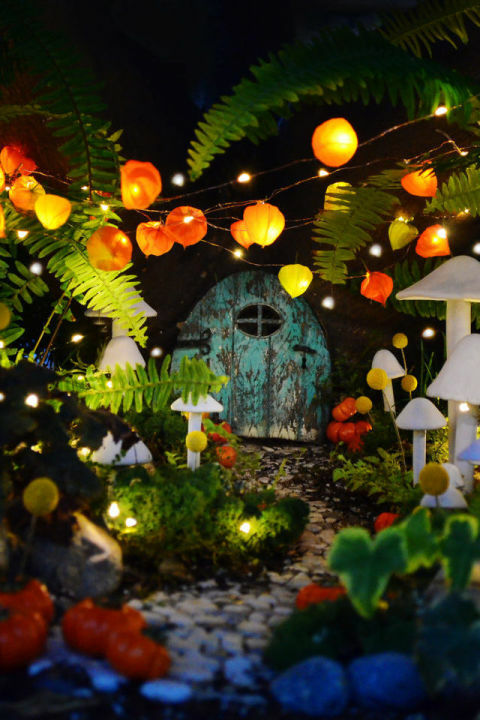 The tiny little LED solar lights featured in this fairy garden are enchanting, but we’re really in love with the little “vegetable garden” with its succulents designed to look like baby cabbages. Get the tutorial at Little Tudor on the Prairie. 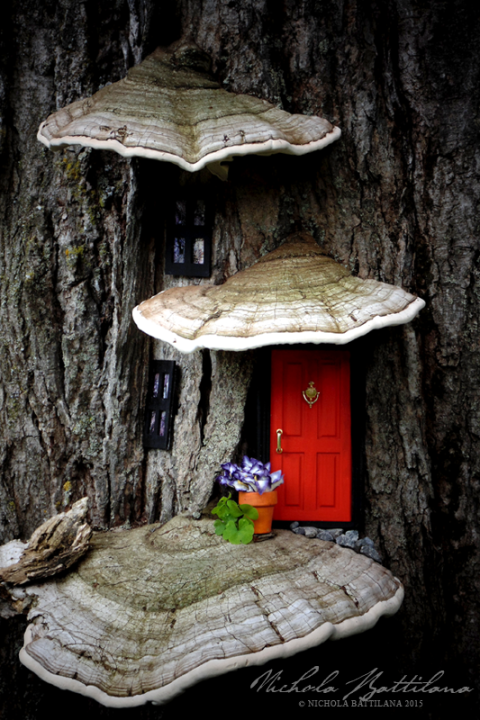 This little pixie home, built into the side of a tree by Nichola Battilana of Pixie Hill, has some serious curb appeal. See more at Pixie Hill. 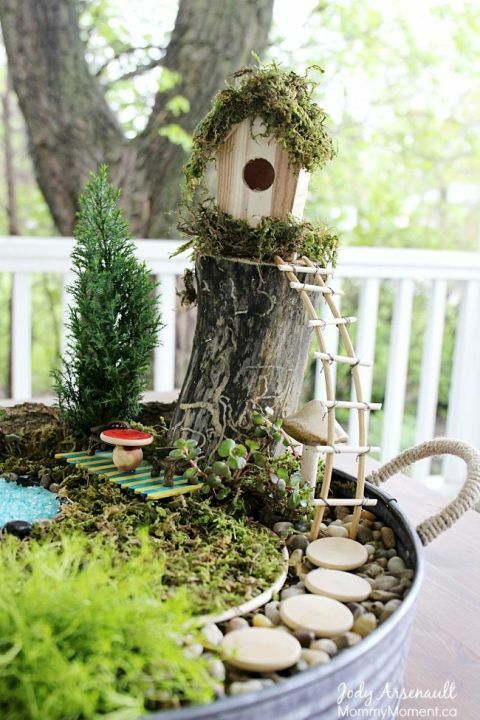 This adorable fairy garden gets a makeover for each season—wait until you see winter! See more at Farm and Foundry. 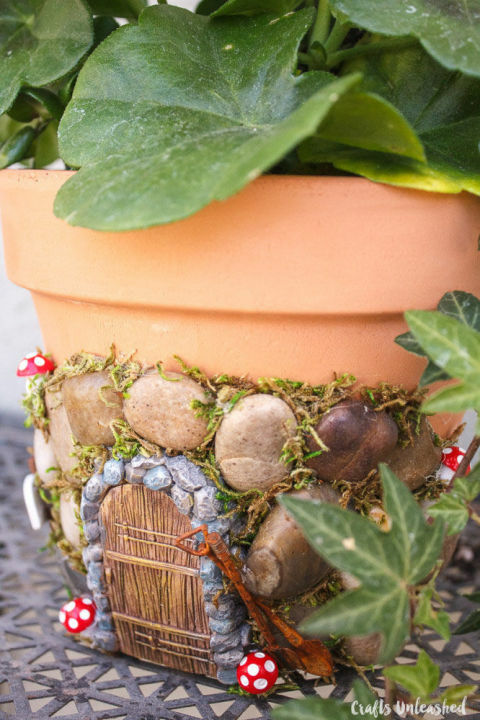 All you need to create your very own fairy garden is a container, some potting mix, a few plants and accessories, and a healthy dose of imagination. 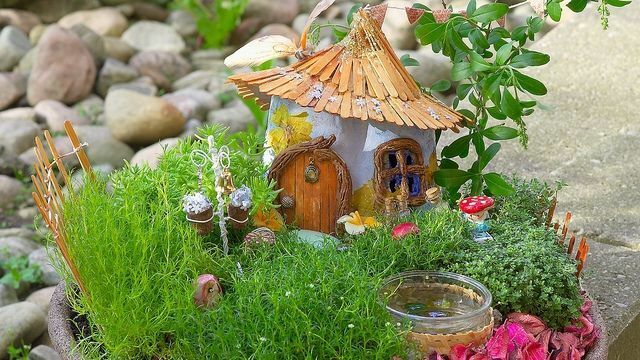 Get Miniature Garden Shoppe owner Kathryn’s best tips and techniques to help you get your own fairy garden growing!